Of all the adjectives and sub-genres that have been employed to describe Nadja's experimetal, ambient dirge-gaze, "dreamsludge" is most relevant to their latest release, Dagdrøm. The album name translates as "daydream" in Danish and it's an extremely fitting title for a record that spends its duration spiralling inwards, exploring a pulsing, imaginative internal landscape. The core duo of the band, Aidan Baker and Leah Buckareff, are joined by former Jesus Lizard drummer Mac McNeilly, whose contributions add an insistent depth to the record, a sense of gravity and a sucking, almost threatening vacuum. The songs still progress at a writhe and stretch, crawl and plod pace, but there's added urgency to the tracks that makes them feel as though they're uncoiling rather than dragging themselves along. The guitar layers are thick and scratchy as steel wool, and the vocals an eerie, humming lullaby, as we have come to expect from Nadja. But what sets Dagdrøm apart from their other work is just how deep this rabbit hole goes and how menacing the sounds echoing up from its depths are. 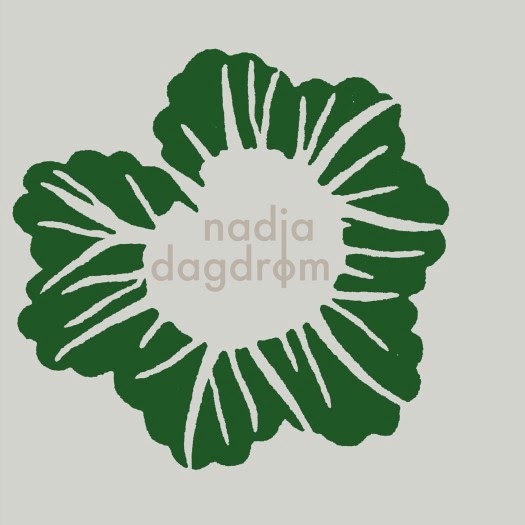 Note: This version of Dagdrøm features 11 bonus tracks of "unreleased session material with Mac from Aidan Baker's solo album The Spectrum Of Distraction"